Trouble Getting Approved in Illinois? Summary of Illinois Usury Law(s) / Quote: "Legal: 5% Contract: 9%; any rate business loans / Judgment: 9% / Corporate: Any rate"
Legal Maximum Interest Rates: Quote: "Determined by the laws applicable at the time the contract is made (815 ILCS 205/4)"
Usury Penalties: Quote: "Recipient subject to suit for twice total of all interest, charges, and attorney's fees and court costs (815 ILCS 205/6)"
Judgment Interest Rates: Quote: "9% or 6% when judgment debtor is unit of local government, school district, or community college (735 ILCS 5/2-1303; 735 ILCS 5/12-109)"
Legal Exceptions: Quote: "Under Consumer Installment Loan Act (205 ILCS 670/1); short-term loans (815 ILCS 205/4.1a); installment loans (815 ILCS 205/4a; 205 ILCS 670/15); pawnbrokers (§205 ILCS 510/2); farm development loan (20 ILCS 3605/5 to 3605/12); reverse mortgage loan (205 ILCS 305/46)"
Cheryle from Cicero would like to borrow $10000 to help pay for car repairs, some repairs to her home and a small amount of debt that she has accumulated. She does not really need a loan for the debt. She can afford to repay it in a few months, but figured if she was going to apply for a loan, she might as well fold it into the loan and have one monthly payment. It is on a credit card and is less than $2000. Her car is making a lot more noise than it should. It is probably the muffler although she is not really sure. A friend suggested that she needed the muffler looked at and that she also need new tires. She might as well have it tuned up at the same time and she can see spending closed to $3000 on her car for repairs to the muffler, new tires, the tune up and the usual surprises when you take your car into the garage. The repairs and upgrades to her home is optional. Nothing is urgent, these are things she just wants to tackle to make her life more comfortable and make her feel good about her place. She wants new modern toilets, some painting completed and new carpets in some of the rooms. They are not something she needs, however she will definitely feel a lot better about her home if she makes these changes. She feels that if she borrows $10000 and repays the loan over a four year period she will be able to afford the payments without any problem based on her income. Cheryle works as a dental hygienist for a local dentist in the town where she lives. She has worked there for several years and makes a good income. She lives by herself so she has to pay all of her expenses on her own. She has done a good job of always meeting her obligations and never missed a payment. Her credit rating is in really good shape so being approved for a loan is probably not an issue. The lenders will need a little more information which she did not provide on her application. She focused on what she needed from a loan perspective. Before she can be approved she will need to provide information about her total income, her other debts including monthly rent, utilities and car payments. She already mentioned that she only has a small amount of debt, but she needs to provide the details before lenders can approve this loan. Barring any unforeseen surprises, she will likely be approved for the loan she is asking for. In the mean time she should probably get her car fixed before the problems with the muffler system actually become worse than they already are. 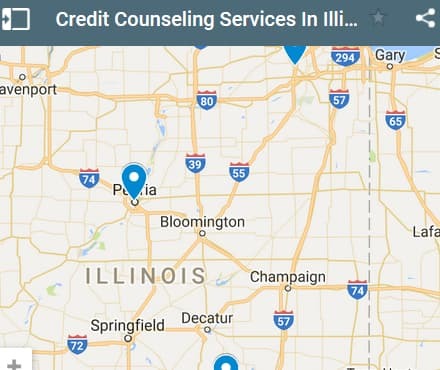 If you live in the State of Illinois and you're struggling to get a loan approval with a bad credit rating we hope our website helps you in some way. 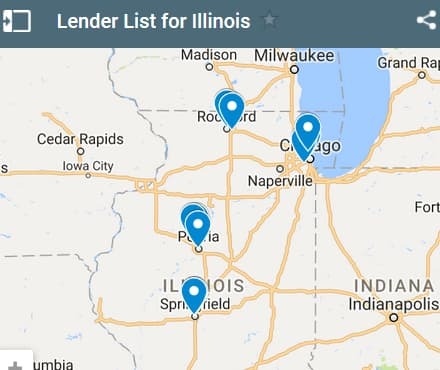 Last 5 debt service loans approved in the State of Illinois. Source: WFL Lender Pool. Updated Weekly. Principals rounded to the nearest $1000. Relative interest rates listed below in order left to right. Do you live in the great State of Illinois and dealing with a GREAT amount of debt? Well you're not alone. Just know that out of the gate. The percentage of residents in Illinois with debt problems is quite high when compared with other states. Due to unemployment and other economic factors there are a lot of people suffering personal finance problems. So what are you going to do about? Well there is a few smart plays you can make to deal with your debt issues. First of all STOP spending money on ANYTHING that isn't "a need" and only spend money things that are "a need". Next step you can take is negotiate with your credits to alleviate some of your debt exposure. The next thing you can do is create a budget and after that you can look at earning more money. On our city pages we include links to job searches in your area, and as well as links to community colleges and university. With more education you can get a better paying job. These are just some of the steps you can take and/or consider. Jennifer from Joliet is helping to look after her mom with groceries and general support. She needs a lot of help and is still living at her own place. She receives daily help with meals and cleaning, which her mom pays for. She needed to make modifications to the entrance and a few places inside her home to make it easier to get around in her wheel chair. Jennifer loaned the money to her mom for these changes. Her plan is that she was going to pay it back in small installments. Her mom really does not have a lot of money and Jennifer would just like to forgive this small loan. Unfortunately for Jennifer she has a number of her own surprise bills that she needs to deal with. When you combine what Jennifer needs and the amount she lent to her mom, she needs a debt consolidation loan of approximately $9200 which she would like to spread over a four year term. Jennifer has not told her mom that she needs the money and her mom would just worry and try to make do with less, which in her case is really not a good thing. Jennifer’s debts stemmed from a small accident she had with her car. It was really a fender bender, but the cost to fix it is amounting to more than she thought it would. She is considering to not put it through her car insurance. She is afraid the insurance company will significantly increase the car insurance rates. She would rather just pay the bills herself. Jennifer is actually driving the car even with the damage. It looks terrible and that is why she wants to get it fixed. If she were to forget about fixing the car or put it through her insurance company, she might not even need the loan. When Jennifer did the math with regards to the cost of her loan and the likely increase to her car insurance she found that it was probably cheaper in the long run to just have the insurance company fix the car. She has not found out yet if it will increase, but she is assuming her car insurance will go up at least $50 a month, for a year or two. In the meantime, she can focus on repaying what is owed for the work that was done for her mom at her home and reduce that debt to zero. She might still reapply for a debt consolidation loan; however, it will be much smaller than the initial $9200 she applied for. There is a lot of stress for Jennifer in looking after her mom, working, dealing with her own place and trying to stay out of debt. So far it has been working for her and she knows that she needs to maintain a good credit score if she wants to borrow funds in the future at a lower interest rate. 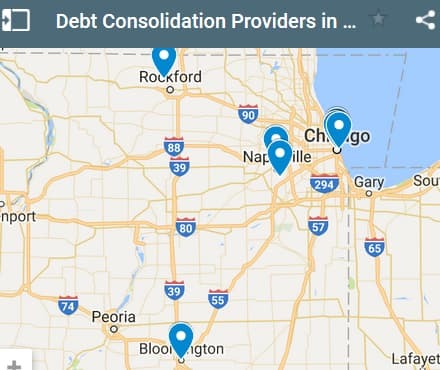 If you live in the State of Illinois and you're trying to get approved for a debt consolidation loan, we hope our website helps you find a good lender regardless of your credit rating.